Our Wellness Clinic is located in the Inner-loop area of Houston, near River Oaks, West University, Tanglewood, the Galleria, Highland Village, and Greenway Plaza. We proudly feature Comfort Craft Electro-hydraulic massage tables to allow for ease of access not only for our able patients, but they are also ADA compliant to accommodate access for those who require it. In our Private Pilates Studio, we proudly utilize the finest in STOTT Pilates equipment. 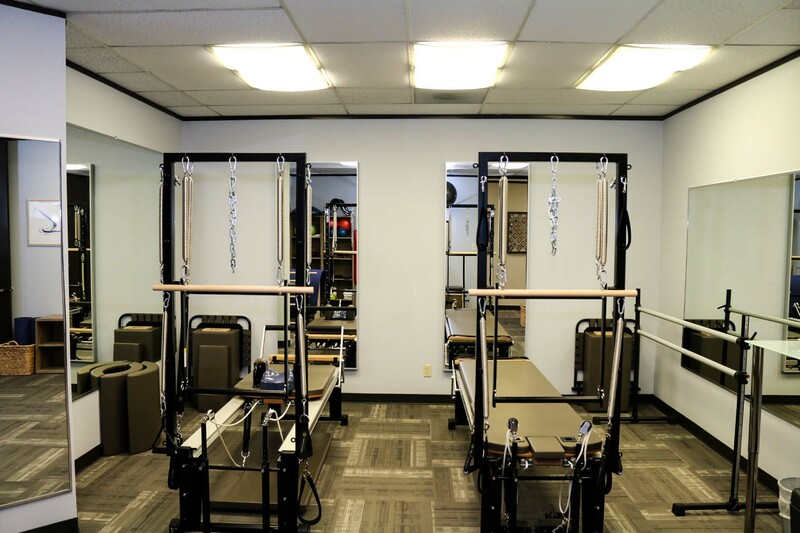 We can accommodate up to 2 clients at a time on our top of the line STOTT Rehab V2 Max Reformers with Towers, Split Pedal Stability Chairs, Mats and Arc Barrels. We incorporate many different Pilates techniques to ensure you are constantly receiving a new and effective workout that consistently challenges your body and mind. Our Nutritional Coaching and Meal Plan design programs utilize hospital grade KORR Medical metabolic testing equipment as well as our own native Android and iPhone apps to provide you with the best opportunity to reach and maintain your goals. You can communicate with your coach as well as get automatic meal plan updates sent right to your phone or tablet. We also have a custom designed body cushion available for pregnant women that will allow you to lay face down from your first trimester, well into your third. We also have a wide selection of other cushions to support you while you lay on your side as well. Additionally, we utilize Thumper percussion massagers, Thermotex Far Infrared heating pads, and Elastogel flexible gel ice packs to provide other therapeutic effects when needed. All of these modalities allow us to provide you with the most effective, deep tissue therapeutic massage possible.